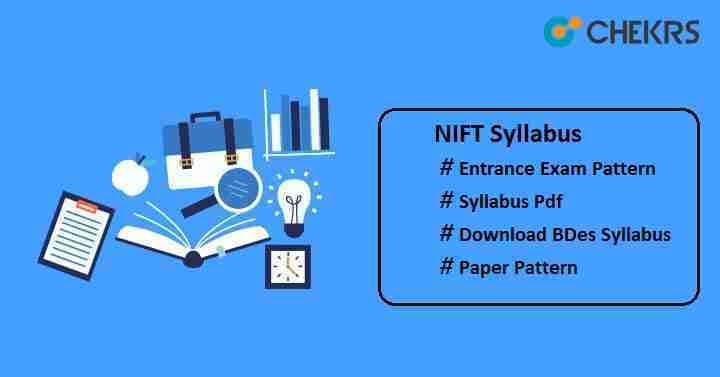 NIFT Syllabus 2019: Candidates, who wants to get admission in the NIFT, will have to clear the NIFT entrance exam. To qualify the any exam, first step should be to thoroughly understand the exam pattern and syllabus. Candidates can check the NIFT BDes Syllabus, if applying for the undergraduate design entrance exam. General awareness and aptitude, creative and lateral thinking are likely to be useful. To know the course structure, total no of questions, marking scheme, topic wise weightage, time duration, mode of examination, candidates should check the NIFT Paper Pattern. You can also check the NIFT Previous Year Papers to get exact idea about the exam pattern. It will help you in all aspects if you are appearing for the NIFT exam first time. Marking Scheme No Negative Marking. For any query, you can contact to us by commenting in the below comment box. We will help you for sure. Good Luck!! !